As spring grows ever nearer, we’re called from our winter hibernation to experience the warm sun on our faces and re-discover our world as is morphs into green splendor! Without question, each Property Shop Broker will tell you that their favorite spring time activity is selling and buying homes with each of their clients. When the Brokers at The Property Shop aren’t out showing homes, writing contracts and generally working like crazy, they get some time to enjoy all that our area offers. We were able to pry a few of their favorite spring time Wilmington Area Activities from them. So, seize the day and go re-discover your community with these fun activities recommended by The Property Shop, then let us know if they make your top ten list! Spring is one of the busiest times of the year for Real Estate! When Tony (Owner/Broker in Charge) of The Property Shop sees some down time in sight, he heads to the ABC store to stock up on essentials “wink, wink”! Find your nearest store here! Looking for the perfect Coastal Spring Drink to try out? 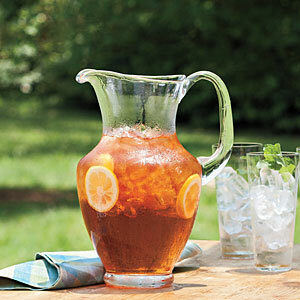 Check out a great recipe for Southern Sweet Tea here! Once liquid libations are in hand, it’s time for some quiet time enjoying the scenery in Landfall,one of the premier Wilmington NC Communities. Start any weekend off with a walk along the downtown boardwalk. Take some time to let history waft over yourself as you explore historic downtown. While you enjoy the sights and sounds of the Cape Fear River and you may just find yourself at the Walk of Fame outside of the Cotton Exchange. Looking for the best brunch in town? Erika says that Jesters Café is an absolute MUST! After you are stuffed from a great breakfast take the water taxi to the Historic USS North Carolina Battleship . Even if you have been to the battleship before, it’s worth another visit. New information and exhibits are on display this year. For Hugh, a stroll on Kure Beach late Sunday morning can’t be beat! Hugh votes Kure Beach #1 for walking because of the free parking, perfect walking conditions (it’s less sloped than Wrightsville Beach) and the Ocean Grill and Tiki Bar. 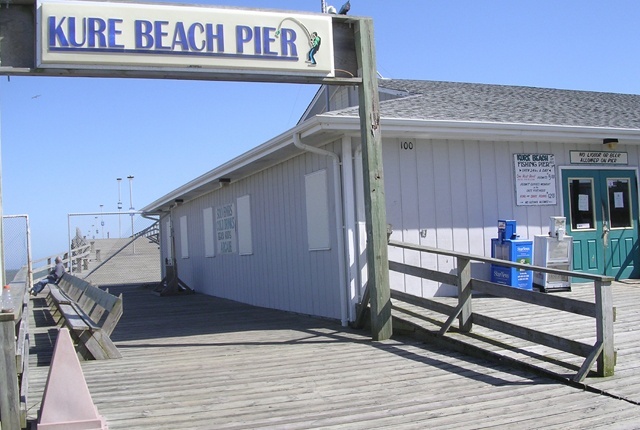 Hugh recommends that you kick back while on the pier at the Ocean Grill and Tiki Bar and enjoy a beer or Bloody Mary while listening to the waves crash all around you, the atmosphere can’t be beat! One of Patrice’s greatest springtime activities is heirloom gardening. Tending to plants that have been passed down through her family for multiple generations brings Patrice peace of mind and joyful memories! This may seem out of reach for many of you from lack of heirloom plants to a black thumb, but have no fear the New Hanover County Arboretum is here! For a small fee they can help you discover the tips and tricks to heirloom gardening, teach you the history of different plant varieties and decipher where to buy the right plants. Little compares to the quiet stillness broken by the crisp crack of a perfect swing connecting with ball at Pine Valley Country Club. Ken can often be found enjoying a competitive game of golf throughout the spring season! Want to join him or find a challenging course near you? Our Coastal North Carolina Area has some of the best golf around, find your course here. Scott likes to eat, so spring time must mean that he will be eating outside on the ICW at his beloved Dockside! Drive out, walk in, or boat over and enjoy the fresh spring air and beautiful scenery! Spring time is not complete for Allyson without a trip to Hugh Macrae Park for the Annual Easter Egg Hunt! Taking place this Friday, check it out and tag us in your Instagram twitter and facebook pictures! Not able to make it for the Easter Egg Hunt? Hugh Macrae is a great place to walk a loop, spend time with your kids at the playground, take in a game of tennis or baseball, bring your pups to the dog park or canter with your horse in the arena. There is something for everyone! 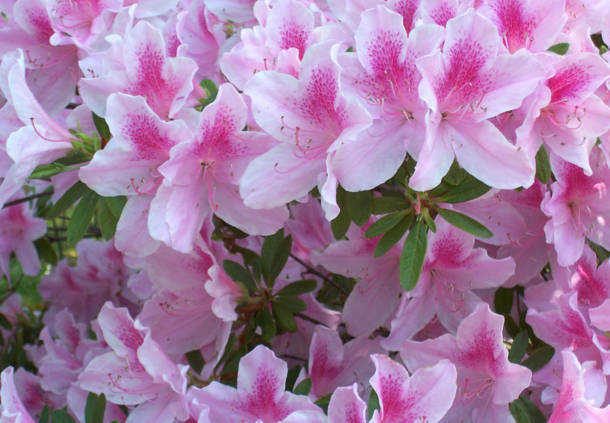 If you haven’t been lately, it’s time to head to the Azalea Festival get your tickets here! Michael’s favorite part of the festival are what else but the Azaleas! 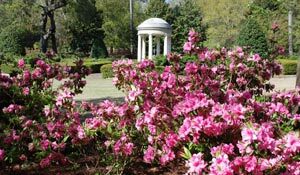 Kicking off on April 6th and lasting through the 10th, you can enjoy one of Wilmington’s most popular claims to fame from flowers, concerts, and street fairs to parades and a tour of homes! Spring time means that it is the start of the boating season! Shari loves spending time boating up and down the ICW with her family. What’s that you say, you don’t have a boat to join in the fun with Shari? No problem, rent one with on your own or with your personal Capitan! While you’re at it, head to Dockside and see Scott or take an adventure down the Cape Fear River to downtown and find Ed & Erika enjoying the shopping and food! Sarah, the Office Manager, can often be found paddle boarding around the Wrightsville Beach area and recommends it to everyone! Wrightsville SUP is a great place to head out from and convenient if you need to rent a paddle board or need some lessons before you feel sea worthy. Without a doubt, we LOVE where we live and had a hard time limiting our list to just a few spring activities in Wilmington! If you’re ready to make your claim on this unique city with an abundance of activities for everyone, give The Property Shop a call today for your slice of Wilmington, NC Real Estate!